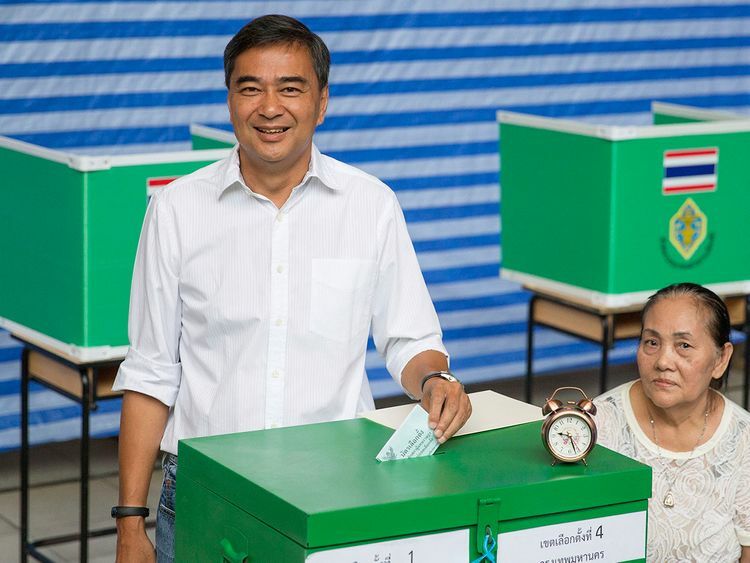 Bangkok: Former Thai Prime Minister Abhisit Vejjajiva stepped down as leader of the Democrat Party after its poor showing in a Sunday general election. Thailand's oldest political party was in fourth place in the popular vote, with a little more that 3 million votes, according to partial results released by the Election Commission, with 91 per cent of votes counted. "I must take responsibility for this. I resign from my leadership of the Democrat Party," said Abhisit, who was prime minister from 2008 to 2011.